Blue whales are the most exciting species that we see on our Baja kayaking trips in the Sea of Cortez of Mexico. Only a few thousand blue whales are believed to have survived the days of commercial whaling and they usually are found far from land. But the Blue Whale Triangle is a special place where they congregate close enough for whale watching from kayaks. Most people don’t realize that male blue whales “sing” to communicate with females over great distances. Blue whale voices are so deep that most human ears are unable to hear them. 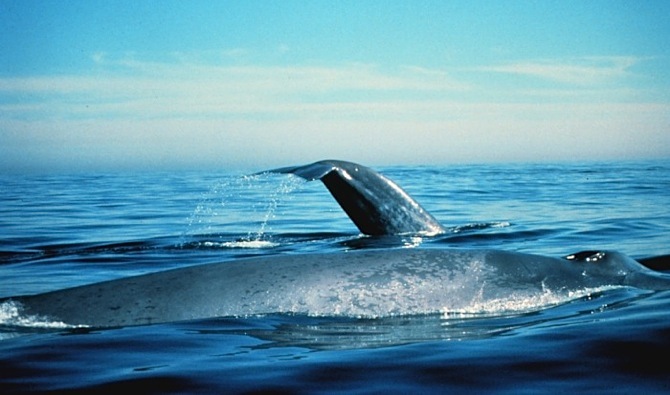 Many popular recordings of blue whales have been raised a full octave for people to enjoy them. Most people can only feel the infrasounds vibrating in their chest if they happen to be snorkeling in the vicinity. Click here to hear a blue whale. This second link is a bit different “blue whale song” that is heard during summer months off California. Scientists have noticed that blue whale songs over the entire globe are becoming much deeper over the past four decades and they are wondering why. Possibilities include adapting to increases in noise pollution, changing populations and new mating strategies. So far, no theory really makes sense yet. Various groups such as Whale Acoustics, Scripps Institution of Oceanography and Cascadia Research Collective are working on the mystery. Here’s a link to a recent article. Kayak with Blue Whales this Winter in Baja Mexico’s Sea of Cortez!